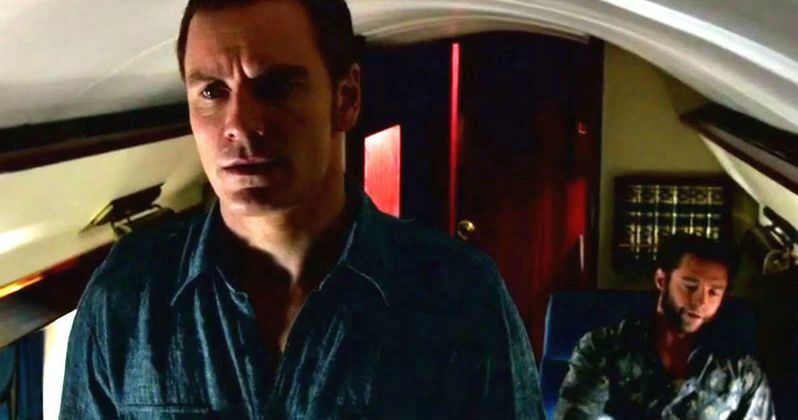 While we've already seen the following X-Men: Days of Future Past clip, which finds Charles Xavier (James McAvoy) confronting his former friend Erik Lehnsherr (Michael Fassbender), an extended bit of footage gives Wolverine (Hugh Jackman) the last word. Magneto attempts to crash Professor X's plane after he's accused of abandoning his mutant brethren. As Charles runs to the back of the plane, fleeing from the confrontation, Logan slips in a jagged dig at Erik's expense. Watch as some of the humor in the movie gets put on display. We also have an explosive new TV spot that shows off the film's intense action sequences.